I have always bought books. I have rarely used the library. I knew it was the one indulgence I could always justify. (Books are so much cheaper than Jimmy Choos.) But with tighter budgets as we plow forward with more creative adventures, I am looking to the library for books that sound interesting but not enough to buy. So I fired up my library card and have a few books being sent to my local library in the next couple of weeks. The first is The Dirt on Clean, by Katherine Ashenburg. According to Ashenburg (The Mourner's Dance), the Western notion of cleanliness is a complex cultural creation that is constantly evolving, from Homer's well-washed Odysseus, who bathes before and after each of his colorful journeys, to Shaw's Eliza Doolittle, who screams in terror during her first hot bath. The ancient Romans considered cleanliness a social virtue, and Jews practiced ritual purity laws involving immersion in water. Abandoning Jewish practice, early Christians viewed bathing as a form of hedonism; they embraced saints like Godric, who, to mortify the flesh, walked from England to Jerusalem without washing or changing his clothes. Yet the Crusaders imported communal Turkish baths to medieval Europe. From the 14th to 18th centuries, kings and peasants shunned water because they thought it spread bubonic plague, and Louis XIV cleaned up by donning a fresh linen shirt. Americans, writes Ashenburg, were as filthy as their European cousins before the Civil War, but the Union's success in controlling disease through hygiene convinced its citizens that cleanliness was progressive and patriotic. 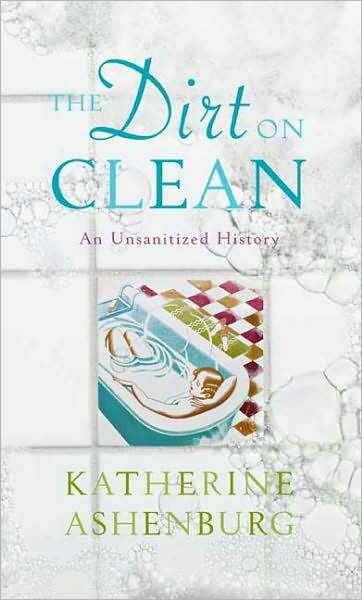 Brimming with lively anecdotes, this well-researched, smartly paced and endearing history of Western cleanliness holds a welcome mirror up to our intimate selves, revealing deep-seated desires and fears spanning 2000-plus years. Sounds like something that is right up my non-fiction, non-sequitur, apropos-of-nothing alley. 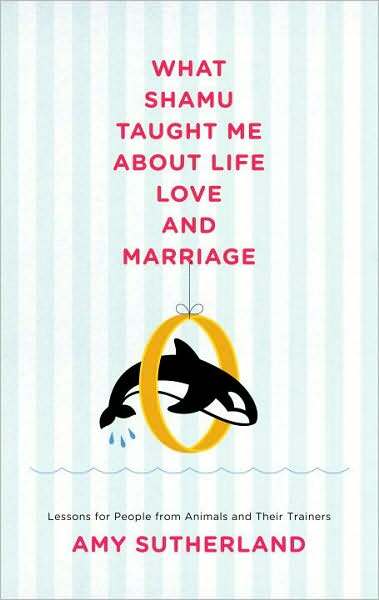 Another book on hold is What Shamu Taught Me about Life, Love, and Marriage, by Amy Sutherland. While observing exotic animal trainers for her acclaimed book Kicked, Bitten, and Scratched, journalist Amy Sutherland had an epiphany: What if she used these training techniques with the human animals in her own life–namely her dear husband, Scott? In this lively and perceptive book, Sutherland tells how she took the trainers’ lessons home. I want to read it as a way for me to learn to be a better partner in marriage, a better sister, daughter, aunt, friend, etc etc. "Gotta get me some of that New Marketing. Bring me blogs, e-mail, YouTube videos, MySpace pages, Google AdWords . . . I don't care, as long as it's shiny and new." Wait. 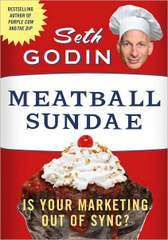 According to bestselling author Seth Godin, all these tactics are like the toppings at an ice cream parlor. If you start with ice cream, adding cherries and hot fudge and whipped cream will make it taste great. But if you start with a bowl of meatballs . . . yuck! As traditional marketing fades away, the new tools seem irresistible. But they don't work as well for boring brands ("meatballs") that might still be profitable but don't attract word of mouth, such as Cheerios, Ford trucks, Barbie dolls, or Budweiser. When Anheuser-Busch spends $40 million on an online network called BudTV, that's a meatball sundae. It leads to no new Bud drinkers, just a bad case of indigestion. 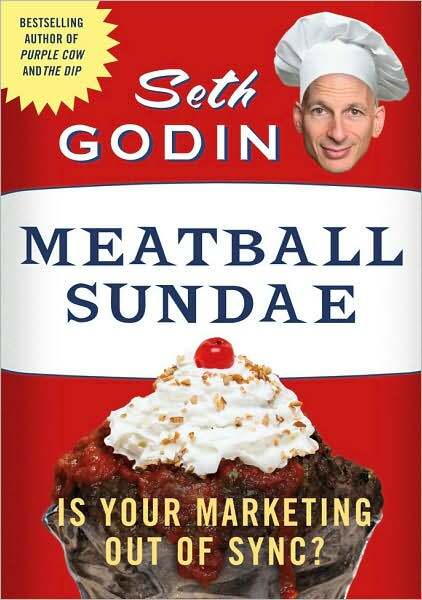 Meatball Sundae is the definitive guide to the fourteen trends no marketer can afford to ignore. It explains what to do about the increasing power of stories, not facts; about shorter and shorter attention spans; and about the new math that says five thousand people who want to hear your message are more valuable than five million who don't. The winners aren't just annoying start-ups run by three teenagers who never had a real job. You'll also meet older companies that have adapted brilliantly, such as Blendtec, a thirty-year-old blender maker. It now produces "Will it blend?" videos that demolish golf balls, Coke cans, iPhones, and much more. For a few hundred dollars, Blendtec reached more than ten million eager viewers on YouTube. Godin doesn't pretend that it's easy to get your products, marketing messages, andinternal systems in sync. But he'll convince you that it's worth the effort. By the way, have you seen Blendtec's videos? Please, see them. They seriously make me want to own of those babies!